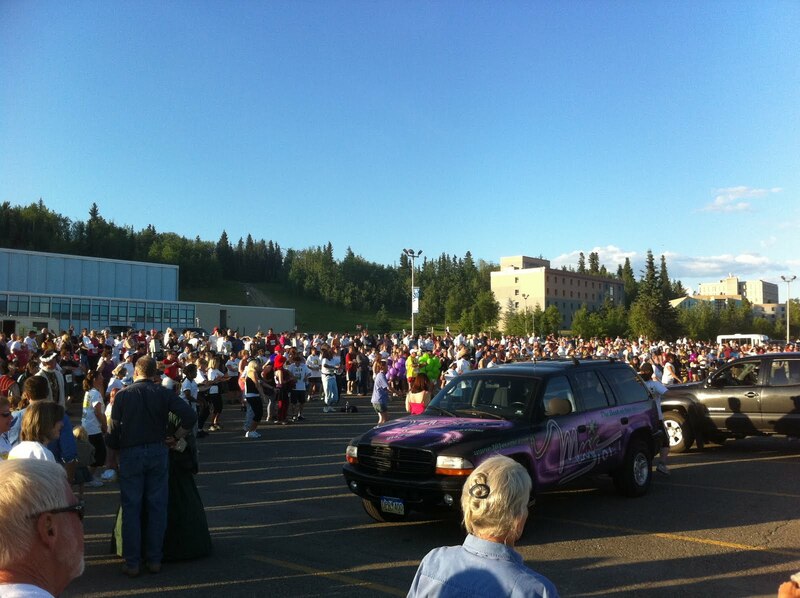 This evening was the annual Midnight Sun Run which is held on the Saturday nearest the Summer Solstice. The festivities begin about 9:00 pm with thing like costume judging and Jazzercize warmups. The cannon, courtesy of the local Army base, fired off at 10:00 pm to start the race which wound through a bunch of neighborhood streets. 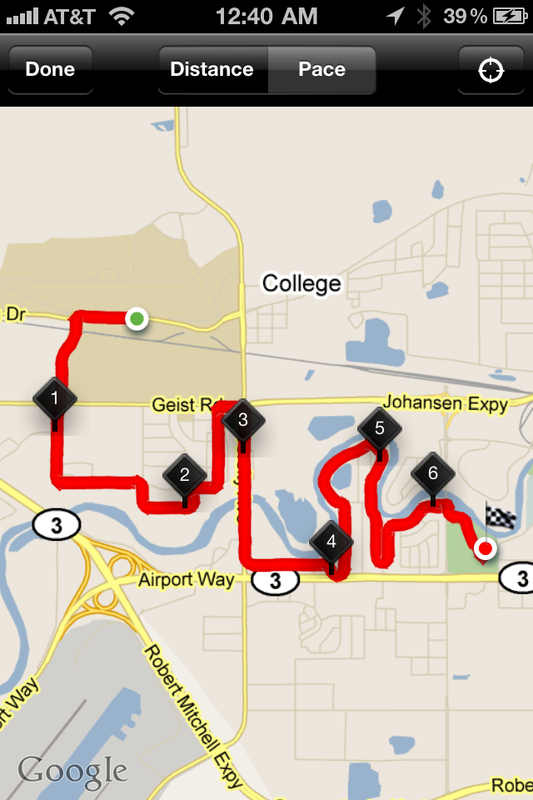 I am in no shape to run it but I walked pretty steadily and was satisfied with my pace. Over 3000 people officially participate and probably another 50% participate but don't bother to register. All along the course it was one party after another. Tomorrow, several downtown streets will be closed off for the Midnight Sun Festival with plenty of food and entertainment. There are other local activities which sort of have the same theme such as a baseball game that starts near midnight but the only one I've participated in has been this run. your life is weird enough it merits more pictures. what does midnight look like there? The picture shown in the post was taken at 10:00PM and midnight was pretty much the same amount of daylight. It just doesn't get dark at all this time of year. Good job on doing to run/walk. I think it would be cool to do a midnight walk and have it be light out. One of the perks of living in Alaska. It makes up for the months of darkness. So, what was your time? Being able to go out walking at midnight and still have it be light out is wonderful. And at other times of the year when it isn't light out, it is usually too cold to go out for a walk. Looks like a great run/walk path with many river front or view areas. Sounds like a fun time of year there.